Judge Thomas Logue is the newest face on Florida’s Third District Court of Appeal. He received his appointment to the bench on July 6, 2012 from Governor Scott, filling the vacancy created by the resignation of Judge Juan Ramirez, Jr. On announcing Judge Logue’s appointment, the Governor said, “Tom brings to the bench an impressive record as a litigator and appellate attorney. Equally impressive is Tom’s abiding commitment to judicial restraint. 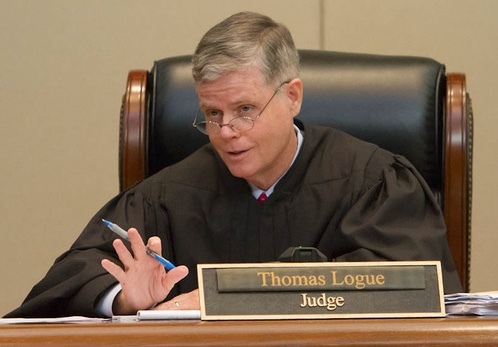 His career and his scholarly writings demonstrate a deep understanding of the notion that the rule of law, and not personal preference, must prevail in our courts.” Indeed, Judge Logue’s commitment to public service is impressive, and he brings to the bench a breadth of knowledge in many substantive areas of the law. real estate valuation, copyrights, and bonds. Judge Logue has served as the legal advisor to the County Com- mission, the property appraiser, and to various zoning and quasi-judicial boards. He has also drafted state and local legislation and negotiated major contracts on behalf of Miami-Dade County. Speaking of family, Judge Logue is himself blessed in that respect. He has been married to his wife, Sheila, for over thirty years and boasts that she is his college sweetheart. They have three teenage daughters and live in Coral Gables. In respect to brief writing, there are some things that practitioners can (and should) do make Judge Logue’s life easier. Although the judge has his law clerks pull key portions of the record for him (and he noted that the clerk, Mary Cay Blanks, “is incredibly nimble and quick in delivering the record to our chambers”), “it would certainly be convenient to me if lawyers would file very small appendices with no more than the one, two, or three documents from the record that are most important to resolving the appeal, such as the court order on review, the crucial transcript excerpts with a few extra pages for context, the affidavits, the will, the contract at issue, etc.” The judge also advises practitioners to keep their brief short, but if that is not possible, “at least make sure that your summary of argument and your captions provide brief, clear road maps of your argument.” He even noted that “in retrospect, I would have made my summaries of arguments shorter, no more than 2 pages.” Finally, when asked what his biggest surprise has been since taking the bench, Judge Logue said, “I taught the jurisdiction of the Florida courts, so I have no excuse. But the biggest surprise was the breath of the jurisdiction of the District Courts of Appeal. In the same morning I have heard cases involving torts, marriages, contracts, probate, criminal law, and real estate. It is one of the challenges and one of the pure delights of the job.” The judge also noted that “state appellate judges may be the last heirs of Atticus Finch, the last authentic generalists.” And perhaps a reference to Atticus Finch is the best way to close an article about a man who has provided such dedicated service to the citizens of this state, who has worn the white hat for thirty years, who has stood up for children in the foster care system, who has shared his love of our system of government with countless aspiring lawyers, and who is now poised to help shape the law in Florida. We, as lawyers, should look forward to seeing what good work Judge Logue can do on the Third District and welcome him to the bench. Jessie Harrell is an attorney with the Jacksonville appellate boutique of Creed & Gowdy, P.A. She is currently the chair of the CLE Committee for the Appellate Practice Section of the Florida Bar and the chair of the appellate section of the Jacksonville Bar Association.